I started this blog as a way to document my children’s lives. To record memories from their childhood, so we could look back in many years and remember what life was like. Recently, I feel like my blog has lost a little bit of that, that I’ve forgotten my reasons for starting in the first place. Growing up as an only child, I have no experience of having siblings. Watching my two children grow up together is a joy. I love watching their relationship develop, watching the way they play together and listening in on their conversations. There is a bond there that is like no other. Something I obviously didn’t experience when I was growing up. 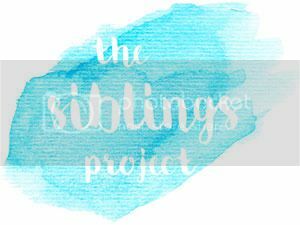 The siblings project is a monthly linky all about your children and their special bond as siblings. I thought I would join in so that I can document their relationship as they grow, just as I intended when I first started blogging. This month they’ve united in their new love for Harry Potter. Until now, they knew nothing of the Harry Potter series, as they were too young for the books and movies. Last month, I decided they could start watching the movie series, and they both love it. Each weekend, we’ve watched another instalment. Because they’re so close in age, they tend to like the same kind of things. I think Caitlin looks up to her big brother a lot, and often takes his lead. Whether it be Minecraft, Roblox, Mario and now Harry Potter, if Neil likes it you can be sure Caitlin will follow. It is sweet to watch them bond over their interests. Of course now when we go out, they are always hunting for the perfect stick to make a wand, so they can pretend to be witches and wizards. On a recent walk, the two of them debated what makes a good wand while hunting through the grass for the perfect specimen. All the while shouting things like “You’re a wizard Harry” and laughing their heads off! It’s not the best photo, but it perfectly sums them up at the moment. Here’s to love and Harry Potter. We love the Harry Potter movies but we have only allowed J to watch the first three movies as he is only 7.